She’s already got the thin eyebrows of 2027 BECAUSE SHE’S PSYCHIC. I’m super tight with Future Allison. I consult with her every day about a variety of things. What should I do when my lease is up? What’s my next big business move? Can I take a trip to Ireland soon? (Please say yes.) I look at the facts and the financials and sometimes bring in Past Allison to remind me of previous mis-steps. Future Allison is good at showing me a pretty clear picture of what’s ahead. I may not always know the details of my next decision, but I have usually have an idea of what my life will look like later on, thanks to Future Allison. I also seem to have a little bit of the sixth sense. (Anddddd several readers just closed this window.) I think we all have it, but skeptics would disagree. I occasionally get premonitions about things or dream situations that actually happen, so I can’t write it off. 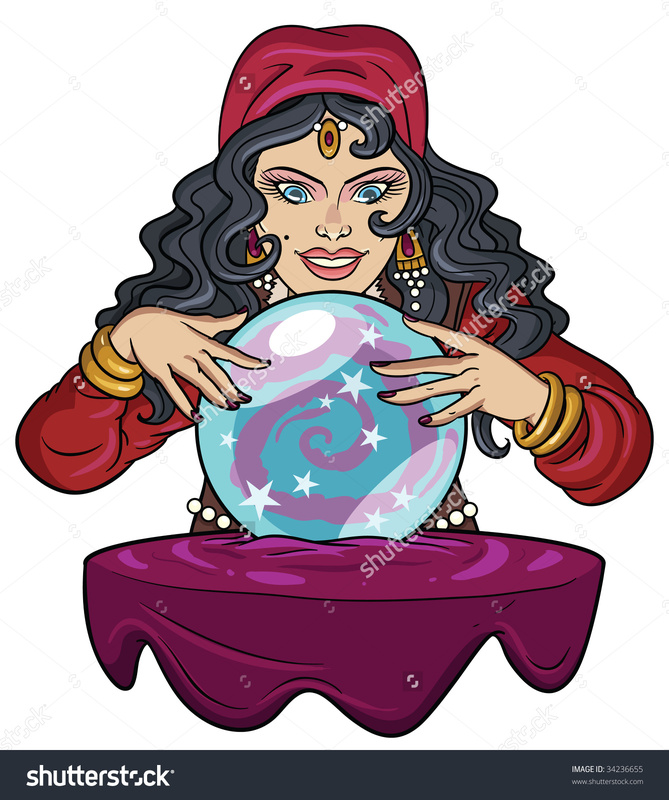 I’m no Rhode Island Medium, but between Future Allison, this minor crystal ball ability, my almost nine years in the beauty industry and what I think is strong intuition, I feel like I have a little peak into what’s ahead. And so I bring you my long term beauty trend predictions. Here’s what I see for our collective faces (and bodies) in the next decade. Eyebrows. They are absolutely going to shrink. Five years from now, we’ll look back at the dark, thick, blocky Instaglam brows and the less-stylized-but-still-full-editorial brows and say “Oh my God, so 2017.” I don’t think we go back to the pencil thin brows of the 30s or early 90s anytime soon, but some celebrity or model who has naturally thin brows will come onto the scene, and people will start tweezing a little more. Highlight. Shimmery highlight/illuminator is just about at the top of its bubble, and bubbles always pop. (Science.) Shimmery highlight will still be on the scene in a few years, but in a much more subtle way. Something so overly trendy can’t not implode. It may first happen by people switching to matte highlighters, then forgoing them completely. Anti-shimmer talk will abound. Mainstream American cosmetic wearers will learn that shimmer particles settle into fine lines, blemishes and scarring and accentuate them and people will get skirred. Lips. This has already started—glosses are getting popular again. In ten years, I say we are back to the every- female-over-14-has-a-lipgloss-in-her-bag days of the late 90s and early aughts. The futuristic glosses will claim to do several things—hydrate, plump, provide sun protection, do your laundry—and cosmetic companies may finally find a way to make glosses shiny and long-lasting but not sticky. Blush. Cheek color has been quiet for some time now, so I predict that will change. Blush will become more obvious and will be touted as the number one way to look more awake and youthful. Powders, creams, gels and liquid formulations will continue to be available, along with some new formulations like spray. There will also be some tool or technique that is said to be new, but is probably something only new to the masses. Mascara. More ridiculous wands will be created. Bottom lashes will get a little more love. People will still want long, full lashes, but I also foresee glossy top lashes becoming a thing. That’s right–shiny, vinyl finish black lashes. Mascara wands and different shades have been done to death, but textures–other than fiber formulations–have not been explored as deeply. So that will happen. Contour. Contour is already gone from some circles but in 10 years, you will rarely see contour tutorials and cult favorite contour kits. Professional makeup artists will still use it in a more subtle way–as they have been doing for decades–but the average woman in 2027 won’t be all about it. Eyeshadow. Cream shadows will become more popular for the everyday woman, as these formulations are easy and quick to apply. There will always be more complicated Instaglam eye makeup looks but if we are talking real life, the easier a product is to apply and the less time it takes, the more the average American woman will like it. Eyeliner. Eyeliner will always be a staple and for good reason–it’s a product that can really define the eyes, which are the feature many women want to draw attention to. Formulations will continue to be improved to make the liners last longer, as smudging is still the number one complaint from eyeliner wearers. I predict a trend of colored eyeliners at the bottom lashline in shades that bring out people’s eye color. Skincare. There have and will always be two camps of skincare maintenance: The Diehards and The Little As Possibles. The Diehards will continue to try new products and regularly say things like “regimen,” “serum,” and “hydrating mask.” The Little As Possibles will continue to try products that claim to “do it all,” allowing them to spend minimal time on their skincare routine. Lasers, Botox and procedures like microneedling will become more commonplace as we head into the future. Body Makeup. Mainstream America will start embracing body makeup as cosmetic companies find a new way to capitalize on insecurities–bruises, redness and dull skin on arms, legs, back and decolletage–that we didn’t even know we had. Body makeup will become more available at the drugstore level. Highlighting and contouring the face might be less prevalent, but get ready for some collarbone highlighting and contoured cleavage tutorials. Hands vs Brushes. There are a million brushes and sponges on the market, and now some beauty influencers and YouTube product junkies are using things like hard boiled eggs (gross) and condoms (more gross) to blend their foundation. I’d say the ridiculous point has already been reached, and I do hope you agree. Something that’s so trendy–in some circles, anyway–will eventually implode, and this will. I predict that more people will start using their hands to apply face products, cream shadows and even lipstick. That’s all I’ve got for now. Who wants to check back with me in 10 years to see what I got right?